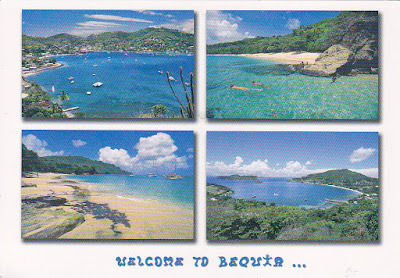 Bequia in the Grenadines with Bequia cancellation. This wonderful postcard was received in 2016 but misplaced and found again in 2018. 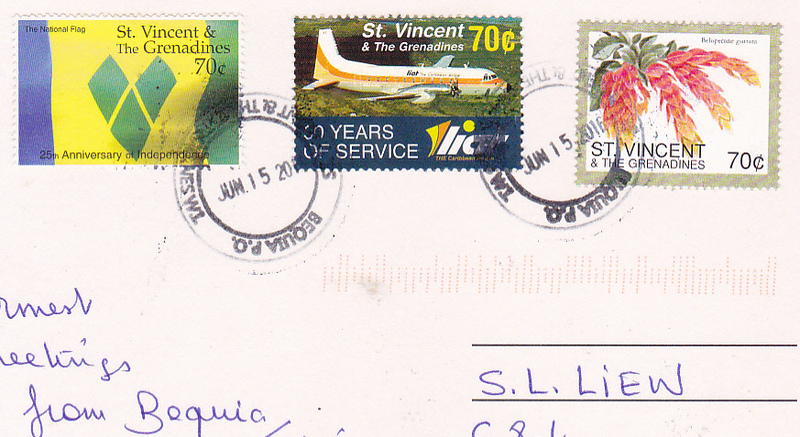 Thank you to Jean-Pierre of France who visited Bequia back in 2016.